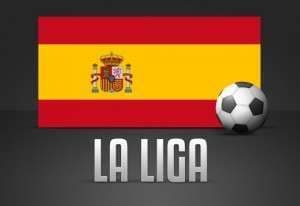 The best bet in the 35th round of Spanish Primera Division matches is backing Getafe and Malaga to go under two and a half goals when they meet on Saturday in the Madrid suburb. Spanish Primera Division punters who like to bet on under two and a half goals have fallen in love with Getafe over the course of the season. Twenty-three of Getafe’s 34 Spanish Primera Division games have gone under two and a half goals, including its 0-1 away loss to Malaga in December. No other Spanish Primera Division has been involved in as many under-two-and-a-half-goals matches. Malaga has been a good friend to Spanish Primera Division punters who enjoy having a flutter on under two and a half goals also. Twenty of Malaga’s 34 Spanish Primera Division games have gone under two and a half goals. Moreover, both Getafe and Malaga have the same goals-per-match average in the Spanish Primera Division – a relatively low 2.35. BetVictor is offering odds of 1.65 that the Spanish Primera Division game between Getafe and Malaga goes under two and a half goals. One would have thought that odds of around 1.50 would be closer to the mark given the statistics. And it does not hurt that the match means the world to Getafe as its Spanish Primera Division relegation fight continues. The only Spanish Primera Division sides whose games have had fewer goals than those of Getafe and Malaga are Elche and Levante. As luck would have it, Elche and Levante will get the Spanish Primera Division round under way on Friday. Elche’s 34 Spanish Primera Division matches have produced a total of 73 goals at an average of 2.15 goals per game. But Levante can beat that number because its 34 Spanish Primera Division matches have had 71 goals for a mean of 2.09 goals per game. Elche and Levante rank 19th and 20th respectively on the Spanish Primera Division entertainment ladder. The only reasons why one does not rate under two and a half goals in the Spanish Primera Division match between Elche and Levante as the bet of the round are that the reverse fixture four months ago resulted in a 2-1 home win for Levante and that the under-two-and-a-half-goals statistics for the teams are not as good as those of Getafe and Malaga. For the record, 19 of Elche’s 34 Spanish Primera Division games have gone under two and a half goals, while 21 of Levante’s 34 Spanish Primera Division matches have gone under two and a half goals. BetVictor is offering odds of 1.60 about a low-scoring clash when Elche and Levante meet again so it is a decent bet but not the pick of the round. Finally, Bilbao appeals at odds of 2.00 with Boylesports and Youwin to beat UEFA Europa League semi-finalist Sevilla in the Basque city. Bilbao and Sevilla are scrapping over the fourth of Spain’s UEFA Champions League spots but one cannot help feeling that the timing is all wrong for the latter. Whereas Bilbao can devote all its time and energy to its Spanish Primera Division campaign, Sevilla has to play a couple of UEFA Europa League games versus Valencia either side of its trip to San Mames. Factor in the respective home and away records of the sides – Bilbao has won 12, drawn three and lost two of its 17 Spanish Primera Division home matches, while Sevilla’s 17 Spanish Primera Division away games have resulted in seven wins, five draws and five losses – and the case for Bilbao gets fairly strong. Betting is all about value and Bilbao really ought to be trading at odds of around 1.90 to beat Sevilla on its home patch and take a huge step towards locking up fourth place in the Spanish Primera Division and all that comes with it.